How to play High Limit Craps? Craps in an intricate game with numerous bets but anyone can learn the basics within minutes. The game takes place at a craps table, and the various wagers are printed on the playing surface. The person who rolls the dice is known as the “shooter,” and this duty rotates as the game progresses. When a shooter is ready to roll the dice, players place their wagers. They can bet on the success or failure of the shooter, or they can choose to wager that a specific number or range of numbers will be rolled on the dice. Once all bets have been made, the shooter rolls the dice so that they bounce off the far end of the table. The most common bets in craps are the “pass” and “don’t pass” wagers. These are directly tied to the shooter’s success, and the shooter can even choose to bet against himself. During the shooter’s first roll, known as the “come-out” roll, the goal is to avoid rolling a two, three, or twelve. If this happens, the shooter has “crapped out,” and the dice are passed to the next player. If the shooter rolls a seven or eleven, then anyone who wagered in his favor will automatically win. If any other number turns up during the come-out roll, this number is now called the “point.” The shooter must continue to roll the dice, trying to get the point again before a seven is produced. If he is successful, then those who wagered in favor of the shooter win. 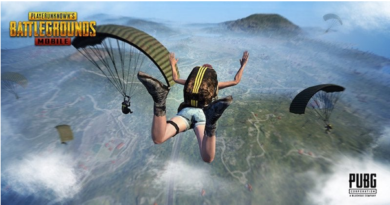 Otherwise, players who bet against the shooter will receive a payout. 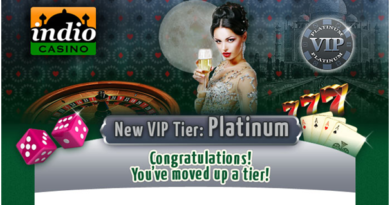 Where to play High Limit Craps in India? Unfortunately there is only a single real casino where you can expect to play high limit craps in India but that too is limited to the casino’s will. 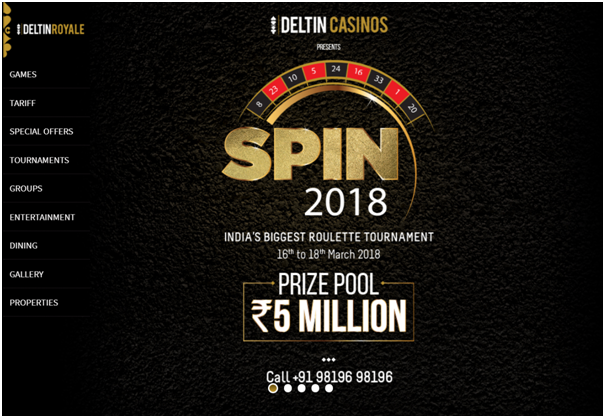 Most of the real casinos in India are glad to offer Indian games like Teen patti, Rummy and other games like slot machines, Blackjack, Baccarat, Roulette and poker games. 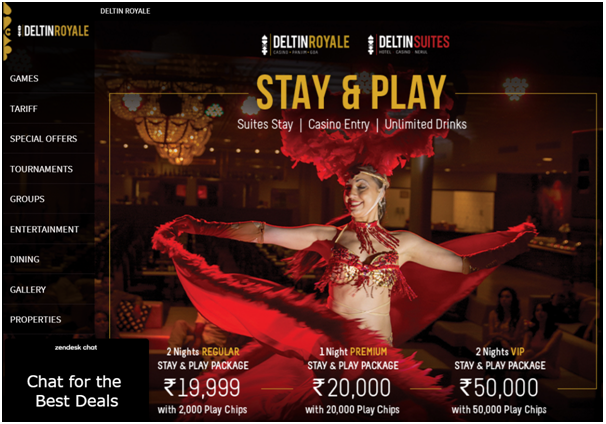 The real casino that offer the craps table is Casino Royale or now known as Deltin Royale casino. 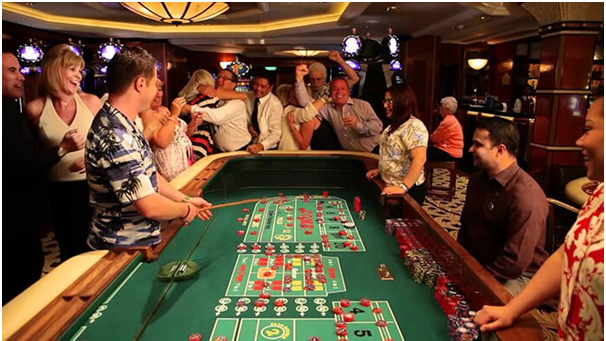 This casino is Goa’s largest floating casino which was launched in April 2008, and at that time the only offshore casino that existed in Goa was appropriated named Casino Goa. The opposition party was irate and sustained heavy protest over the absurdity that Janata Party government decided to issue a casino license when it was clearly a violation of the country’s laws. In time, things settled and when seeing the revenue Casino Goa was bringing from tourists who previously headed to Nepal, the state in a near unanimous decision decided to issue five additional offshore casino licenses, bringing the total to six. The first of these five licenses was issued to High street Cruises and Entertainment Pvt. Ltd., a serious player in the entertainment industry. With that license, they opened what is still to this day India’s largest floating casino, Casino Royale. The Casino Royale or Deltin Royale casino is docked on the Mandovi River. Casino goers are transported to and from the vessel via six feeder boats and a private jetty. Here is a little more about what you can find offered aboard the ship. Known as the Las Vegas to the east, Casino Royale has 40,000 sq ft. gaming section which houses 850 games to enjoy. 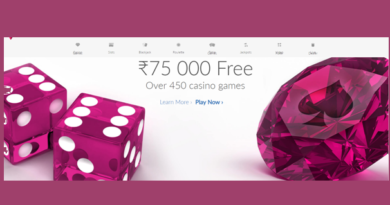 Here you’ll find traditional casino games as well as India games. The traditional games include American Roulette, Baccarat, Blackjack, 3 Card Poker, Caribbean Stud, Money Wheel, Craps and Pontoon. 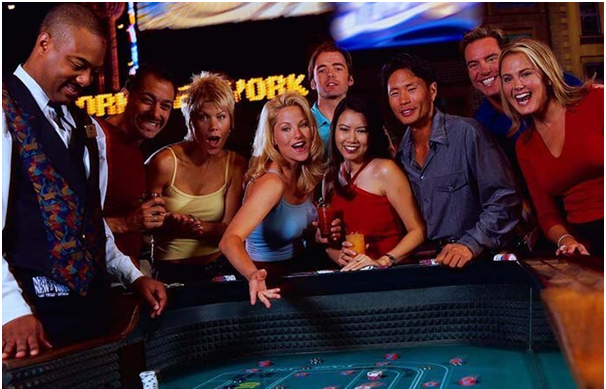 There is also a poker room with Texas Hold’em cash games and tournaments. Quite interesting is they have a beginners’ poker room for those less experienced with the game, of course one can only imagine this must be the popular hangout for the sharks. Regarding the Indian games offered, these are India Flush (Teen Patti), Passa (Dice), Katti (Andar Bahar) and Paplu (Rummy). It’s truly amazing how many gambling opportunities there are on this vessel. There are all sorts of packages offered directly on the Deltine Royale website. Whilst some are more luxurious such as a Marriott Hotel beach stay, the price conscious travel can also find great deals. The least expensive option is staying at the Hotel Mandovi which is 35 kms from the Goa Airport and located on the banks of the river Mandovi, with a great view. A package of 2 nights for two that includes accommodations and one time complimentary chips worth Rs. 20000 is just INR19999 total.